Post edited over 3 years ago by don1163. Even if you are shooting shutter speeds fast enough that IS is irrelevant to picture sharpness, it still steadies the viewfinder. This is especially useful to me shooting macro, where DoF is extremely thin and focus is critical. I have to have the subject steady in the viewfinder. Most of my lenses are stabilized, and I only turn it off when using a tripod. Post edited over 3 years ago by johnf3f. Don't worry about the Triopo RS3 - my Gitzo tripods are just too bendy for it - that is not a joke. Bet you, and others, thought that I would never admit a use for IS! Well I speak as I find. Up until I got the Canon 100-400 Mk2 I found IS to be a hindrance in all but very rare circumstances which I haven't found for over 2 years. For example the last time I was in France shooting Cathedral interiors I did not even think to use IS, why would I? Shots were nice and sharp as the lens I was using (24-105 F4 L IS) was very easy to hand hold at low shutter speeds. Much as I am liking the 100-400 Mk2, for some reason (that I have yet to fathom) I cannot hold it steady! Perhaps it's the balance of the lens when extended? I have been trying out the Mode 3 on the IS and it is showing some promise but I have yet to have a good session on BIF to see whether it works for moving subjects. If it works well I will say so to one and all. I can confirm that the new and improved modes 1 and 2 are pretty much as bad as on my other lenses but mode 3 is looking promising. My contention about lowering IQ is due to the extra piece of glass in the focal path. Note I say piece of glass - not lens. As such it cannot help but degrade IQ = simple optics - by how much is open to debate! However there are no two, otherwise identical, lenses to prove or disprove this. In the case of Canon when they introduced IS (a wonderful feature at the time) they also introduced a number of other improvements in their lenses so a direct comparison is impossible. A possible exception is the Canon 300 F4 and F4 L IS - here the older model had better IQ but it didn't have the close focus abilities of the later model and the optical formulas were different so it is difficult to make a fair comparison. I would simply prefer not to have IS fitted (or would pay to have it removed) from my lenses with the exception of my 100-400 Mk2 which I simply cannot hold steady! Just this afternoon I was out with a friend who wanted to try out my new toy (100-400 Mk2) so we swapped and I used his 600 F4 L IS (used to be mine). I was using my 7D2, so I couldn't simply bang up the ISO to get high shutter speeds, yet I found that with (my old) 600 I didn't even consider using IS yet with my 100-400 I needed it?!? Note we had no tripods or mono pods. Would I give Canon money to remove the IS on my 800 F5.6 (I did ask but they wouldn't do it)? In a heartbeat - but I seem to need it on my 100-400 - go figure! I am having to revise my opinions - certainly for some lenses! True but we would still hate him if we only had Box Brownies too! 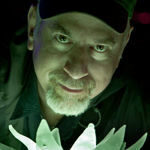 I visited the farm where he did his low light testing of the original 1DX on a Barn Owl. I was about a week after him - was the Barn Owl there - certainly! The conditions were better and I was considerably closer - could I get a shot? No chance! The best I had was having to jump to ovoid being dumped (defected) on by the same Owl = NOT FAIR! Piece of glass? If pieces of glass in the image path bother you, then mount an empty tube on your camera. Canon designs a lens group specifically to compensate for physical motion while complementing the other lens elements. That's been the case since they offered the first IS lens in 1995. Go look at their lens diagrams and descriptions. The reason there aren't any lenses with non-IS and IS differing only in the existence of an IS component is that the IS groups are an inherent part of the overall lens design. Already done, quite a while ago. Please re-visit those descriptions as it is just a piece of glass that is moved around and uses refraction to compensate for vibration. The other pieces of glass (and Fluorite), namely lenses, are more than welcome to be in the optical path in my lenses. Incidentally how does a flat piece of glass complement other elements? Not having a dig here but, with one exception, I have invariably found that I get more "Keepers" with the IS turned off - so what is the point of an extra flat piece of glass in the optical path? Even at 800mm hand held IS gives me no noticeable advantage, yes I can get lower shutter speeds but if the light is that bad then I won't get a decent shot anyway. More importantly IS interferes with AF. It slows acquisition and interferes with tracking moving subjects - try it for yourself. If you cannot see the difference then you are either using a lens that I have not encountered or a Canon camera that I have not tried - possible but not likely. Again don't take my word for it - try for yourself. I notice that your gear list includes a Canon 300 F4 L IS, nice lens, but try tracking birds with that and the IS on! I also noticed the 300 F2.8 L IS - better but still a problem. I mention these because I did/do own them as well as several others in your list. It's a pity you don't live closer as I could demonstrate what I am getting at in minutes/seconds. Please feel free to criticize my observations/opinions - I will not take it personally as I am getting a higher success rate (as are quite a number of local Togs who have turned IS off) so I and they are quite happy! I am just trying to help others do the same - try or ignore, it's up to you. The exception that I mentioned above is my (recently acquired) Canon 100-400 Mk2 which I am having problems holding steady. I have no idea why as I have no problem with other lenses regardless of focal length or weight - well maybe not a 1200 F5.6! As a result I am trying IS mode 3, I have tried modes 1 and 2 and whilst better than older lenses they exhibit the same problems, mode 3 is looking promising though. Sorry about the long post but just trying to share simple, free, improvements that can help (and have helped) others. Isn't that what these forums are for? I have certainly learned a lot to my advantage here. Clearly you haven't looked at the optics for the lenses. In no IS lens is the stabilization group a single "piece of glass". It's a group of several lenses designed to function as an integral part of the overall optic. Take that out without altering anything else and you really would notice the difference, and not in a good way. And you must be very lucky to be shooting in conditions where you don't need slow shutter speeds (or high ISO settings with the associated sensor noise). And you must be very lucky to be shooting in conditions where you don't need slow shutter speeds (or high ISO settings with the associated sensor noise). I live in South Wales (UK) - have a look at our weather! Agree or disagree - it's irrelevant. 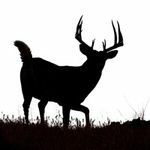 I simply offered a simple procedure to get better results - and especially for wildlife sports etc it does. If you don't want to try it and/or get better results that's fine - it's no skin of my nose. I am happy, those who have tried it are happy, you appear not to be - that's fine it is no loss to me. One issue to consider is that we kind of have a responsibility not to misled noobies who may be following the advice they read here on POTN. I know that in your mind, IS is a hindrance, and you think that it usually has an adverse affect on image quality. You believe that your experiences with IS back this up. Maybe they do - that's not for me to say. But your beliefs and experiences are quite exceptional, and are not the norm at all. So it is good to be careful when you post things here that run counter to what Canon claims, what most amateur photographers claim, and what most of the world's top professional photographers claim. To share some of your difficulties with IS can be appropriate, but to state them as though they are normal, and that others can and will have similar experiences if they use IS, might be misleading, and cause beginners to actually think of IS as a bad thing that should be avoided (or turned off). Such a belief could set a noobie back by quite a bit and could stunt his/her growth as a photographer. As always you make a good point Tom and I appreciate what you are saying and respect your experience in these matters especially when it comes to wildlife photography. I note your point "But your beliefs and experiences are quite exceptional" and two years ago I would fully have agreed with you - now the opposite is the case! Yes a number of "noobies" are reaping the benefits as they cannot afford the top quality lenses with IS systems that interfere less. It looks like I am stirring things up a bit here which is NOT my intention. All I have ever wanted to do is suggest that others try turning it off and see how they get on - is that a bad thing? A number of locals have tried it and are getting better results - surely that's worth flicking a switch? Anyway there is no point in continuing this further, it works, I know it works and have proven it works - but it is not a popular view so that's OK. I will leave it there as I don't want to upset anybody. I have several lenses with IS and have used it for years. After recent comparisons in light room the sharpest photos have been taken with IS off. I understand the benefits of being able to use slower shutter speeds in certain conditions, but I can not ignore what I have seen. I'm not going to suggest that I'll never use IS or even use it less, but johnf3f may have a point, and my recent photos taken with my 5DsR make me want to look into it more. Post editing is no where near as important as gear for the types of photos I take. Not even close. I could pretty easily get by without any editing software at all. Maybe so, perhaps you settle for good enough. But I would still think any shot you take could be further enhanced or made better with PS. IMHO, as always and worth exactly what you paid for it. Nada. I found the same with my 400mm L IS. I turn it on only if I have to like in dark forests, or want to blur moving subjects like water or rain. Usually below 1/125s or 1/250s with TC. But like 70-200IS II has an amazing IS and probably would have it ON for most of time. 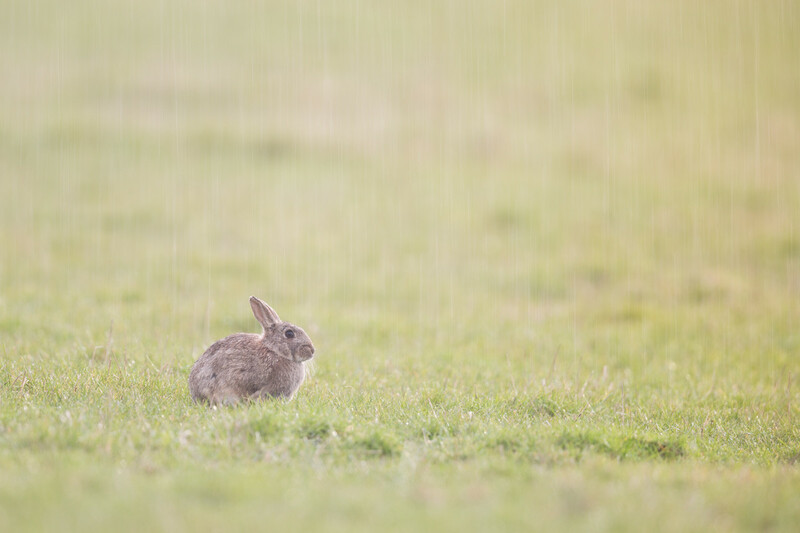 Here is a picture I took yesterday of a rabbit in the rain explaining what I mean. No doubt that Ver II has terrific abilities.